I’m hosting Kevin Caucher today on my LJ as part of his release day blitz with Eyes on Books for Lime and Tangerine. I’m hosting Elizabeth Noble today on my LJ. Elizabeth’s blogging about her upcoming release Ringed Love. 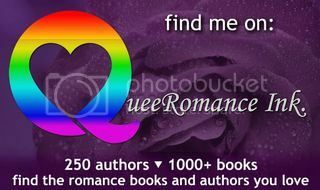 I’m interviewing Anyta Sunday on my LJ today as part of her release day blitz with Creative Minds Promotions for Locked. There’s also a rafflecopter giveaway. I’m hosting Charley Descoteaux on my LJ today. Her new short story Pride Weekend is free from Dreamspinner Press. I’m hosting A.J Llewellyn today on my LJ as part of her cover reveal with Creative Minds Promotions for A Wizard in Waikiki. There’s also a rafflecopter giveaway. I’m interviewing Sera Kane today on my LJ. Sera’s celebrating the release of her first published novella! I’m hosting Joe Cosentino on my LJ today, who is sharing an interview with Jarek Ramsey from Cozzi Cove: Moving Forward. I’m hosting Asta Idonea today on my LJ. Asta’s sharing an excerpt from Kangaroos Next 200km which releases tomorrow.